Villae rusticae present Roman economic and social phenomena related to the countryside but indirectly to the cities as well. There are different types of villas therefore difficult to define. Production of goods necessary for their functioning as self-sufficient entities was a key to long term survival. Surplus was destined for selling and a way of earning for all those goods that were missing and that implies communications and trade. Over ninety Roman sites of different sizes and characteristics was recognized, majority of them belonged to Roman villas. The island, as a separate unit, could not survive alone. It needed to communicate with the rest of the Empire to survive. In Roman Antiquity, that communication was marine transportation and travel. 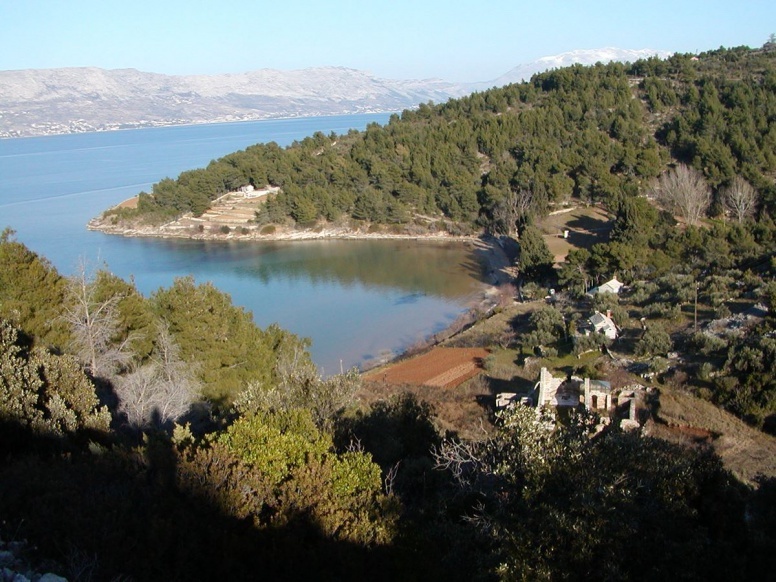 To make it easier, villas were built near those bays that could be used as anchorage and could protect the boats from the wind. 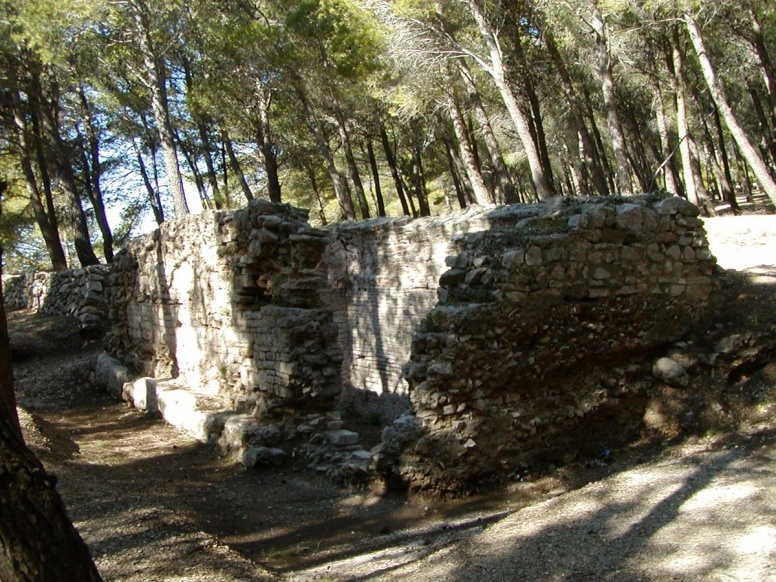 The largest villas survived until Late Antiquity when nearby Early Christian basilicas were often built. The existence of the baptisteries in very often large basilicas on the small territory testifies christening of the larger population on the area. Therefore possibility that some of the villas in Late Roman period were transformed into settlements because only a bigger number of people would justify the need for all those basilicas and their baptisteries. The research performed so far were not extensive that much to confirm it. 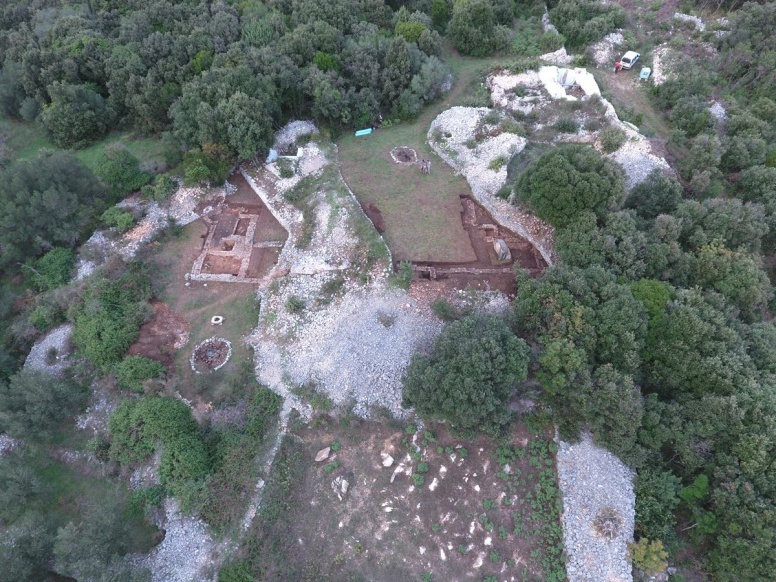 The most excavated were basilicas, Late Roman monastery on the site of Mirje and since 2015 an excavation of Roman villa on the site of Novo Selo Bunje is taking place. Field surveys were also conducted. The most frequent finds belong to different types of vessels. Their origin shows different provenance of goods that changed over centuries telling us how trade and economy transitioned throughout history. Jelinčić, K. 2004, Topografija rustičnih vila na otoku Braču, magistarski rad, Sveučilište u Zagrebu, Filozofski fakultet. Jelinčić, K. 2005, Rustična vila na Bunjama kod Novog Sela na otoku Braču, Vjesnik za arheologiju i povijest dalmatinsku, 98, 121-132. Jelinčić, K., Perinić Muratović, Lj. 2010, Novi arheološki nalazi iz Postira, Prilozi Instituta za arheologiju u Zagrebu, Vol. 27, 177-216. Jelinčić Vučković, K. 2011, Luke kod Škripa na otoku Braču – novi arheološki nalazi, Archaeologia Adriatica, 5, 127-149. 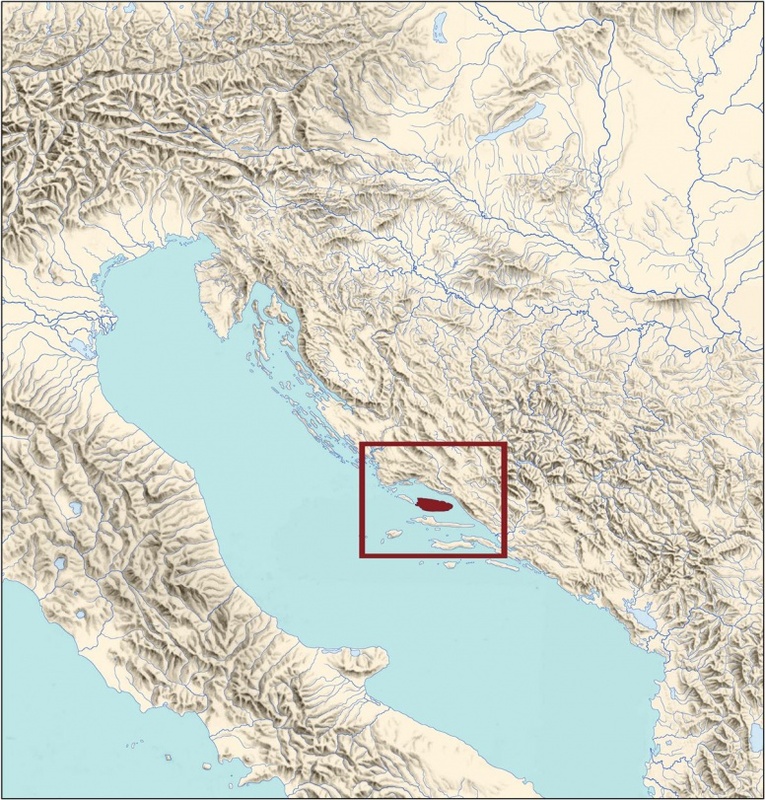 Jelinčić Vučković, K. 2014, Le importazioni africane trovate sull'isola di Brač/Brattia, Dalmazia, Economia e territorio nell'Adriatico centrale tra tarda Antichità e Medioevo (IV-VIII secolo), Ravenna, Italija, 28.02-01.03.2014. Jelinčić Vučković, K. 2014, Ceramica antica dall'isola di Brač: siti archeologici Pučišća Oklade e Pučišća Mladinje Brdo, Rimske keramičarske i staklarske radionice proizvodnja i trgovina na jadranskom prostoru, eds. Lipovac Vrkljan, G., ŠIljeg, B., Ožanić Roguljić, I., Konestra, A, Crikvenica, 2014, 301-314. 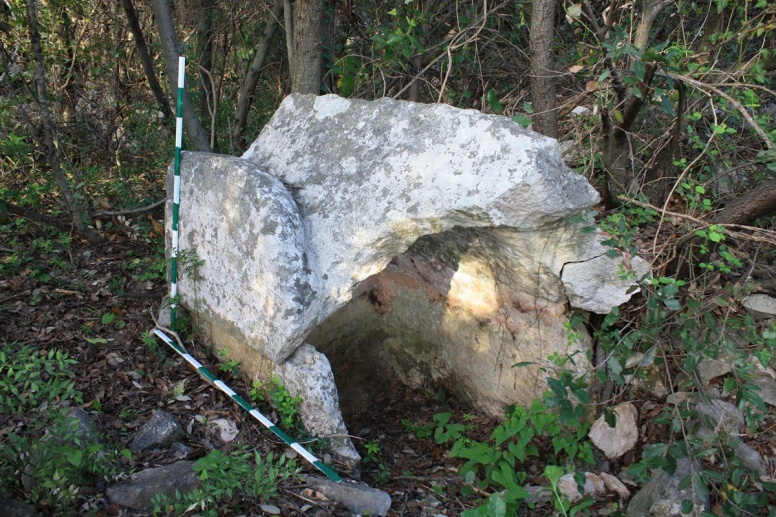 Botte, e., Bertrand, A., Jelinčić, K. 2016, Bunje (Novo Selo, Croatie), Campagne de fouilles 2015, Chronique des activités archéologiques de l’École française de Rome. Turkalj, K., Šegvić, N., Botte, E., Bertrand, A. 2016, Brač Novo Selo Bunje 2015, Annales Instituti archaeologici, XII, 155-159.